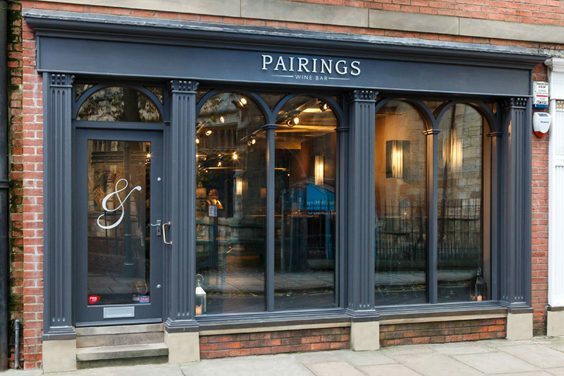 Pairings Wine Bar, York – Review. Wine & Food offering in North Yorks. It’s a long time since I’ve reviewed any eatery in York, one of my favourite cities and pastimes. However, the daffs are out, spring has sprung, and when invited to Pairings wine bar for lunch one Saturday, it looks like the perfect way to break me out of that hermetically sealed weekend rut. Pairings, just round the corner from the Jorvik Centre, is a beautiful little eatery, bustling with life. The staff are warm and welcoming; it has that cool deli vibe you find in London and all cosmopolitan cities, and even if you just fancy a cappuccino and a slice of cake, they do that too. But, as the name suggests, Pairings is all about the marriage of food and wine. And in this case it helps that General Manager James knows his subject inside out. We’re soon seated and savouring a mystery wine. Dark, fruity, effervescent, but like a Scooby-Doo villain, isn’t unveiled until the end of that episode – after any potential wine-related prejudices are washed away. Smart move. How many times would we turn our noses up at something because of the baggage attached? 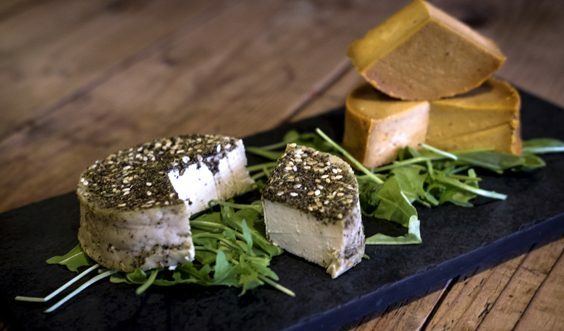 The Wensleydale Brie with crackers is phenomenal, especially when paired with… ‘Zoiks Scoob! It was the Lambrusco di Modena, Sassomoro, NV all along’. A mischievous little number from the Emilia-Romagna region of Italy. My palate is well and truly tickled, and as the place continues to fill up, we enjoy our second of four courses. Now when it comes to olives, I’m a bit of a Tasmanian Devil. You’ll usually see a bowl full; a cartoon cloud of energy and then an empty container, and me dabbing the corners of my mouth with a napkin. They are my Achilles heel, when pitted and full of flavour. I savour a Dos Cortados, Williams & Humbert, 20-year-Palo Cortado from Jerez, Spain. It’s a dry sherry; something I wouldn’t normally go for as I have such a sweet tooth, but paired with Gordal Olives, it’s a winning union of flavours. Now at this point, if I was one of those Wall Street tycoons, I would phone my broker immediately and tell them to sell pork bellies and buy Gordal Olives immediately. The taste is out of this world, and knowing my better half has an aversion to them, I’m not ashamed to say, “All the more for me”. Except having offered her half, Rachel quite happily goes back for more. They’re that good. (Whatever next? She starts watching Star Wars movies? I can but hope). The sherry she’s not so keen on, but I know my limits. One glass is enough. The Gordal, or “fat one” olives, are soon dispensed with while I savour the buttery, golden offering from one of the world’s most prestigious wine-producers. The penultimate choice is equally moreish. A Morning Fog Chardonnay, Wente, 2016 is an amiable Californian, crisper than the misty dawns which roll over one of my favourite American regions, San Francisco. (In the mid-nineties I toured the Robert Mondavi vineyard in California, trying to expand my knowledge of fine wines while on an epic US tour, but was met with contempt by the staff, probably because I was wearing a Scooby-Doo tee shirt and Hawaiian shorts. Unsurprisingly, that sort of thing does not go down well in such an ultra conservative region). Paired with Delice de Cremier (a triple unpasteurised cream cheese produced in the Champagne, Burgundy region of France), it’s a winning combination of flavours which complement one another beautifully. The best cheese in the world? Maybe. It’s certainly up there. I mention to James at the start of our culinary odyssey that I’m a fan of Argentinean Malbec, and he chooses the perfect final offering. A 2016 Malamado, Zuccardi, 2016, from the Mendoza region of Argentina goes down a treat with a triple chocolate and caramel brownie. The atmosphere is so pleasant, we opt for cappuccinos (outstanding, and a better price than many high profile chains) while I purchase a few quids’ worth of those amazing olives. There’s no second guessing about whether we’d come back one day. 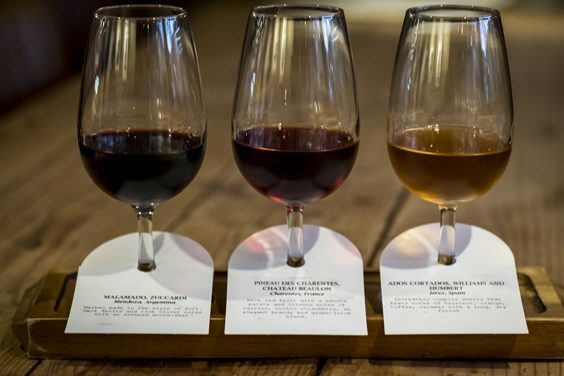 It’s the sort of eatery we’d take our wine-loving Floridian friends to when they come over, keen to show off the best Yorkshire has to offer. After the month from Hell, Pairings is a little slice of Heaven, and the highlight of the weekend. (Or indeed any weekend over the past few weeks). 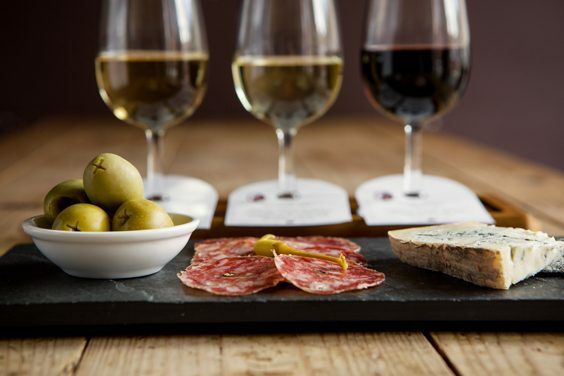 There’s just the right amount to food and wine for us to carry on pottering around York without pounding heads or feeling like we need to put another notch on our belts. Whether you’re a wine expert or just someone seeking a palate-tickling diversion for an hour or so, this is a real spirit-lifter.